Kos also has a high-standard modern marina that can accommodate private pleasure craft of between 7 and 50 meters. 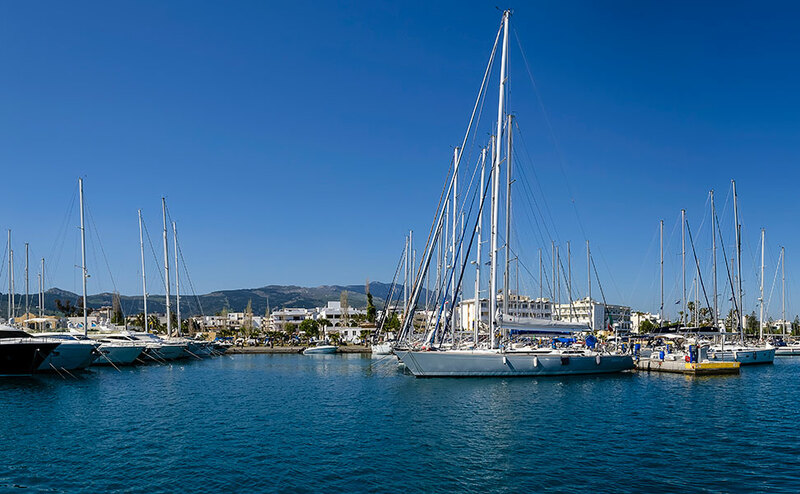 Kos Marina is located just 1 mile south-west of the city’s main harbor and boasts 8 piers and a total of 250 docking berths and 150 dry dock slots. 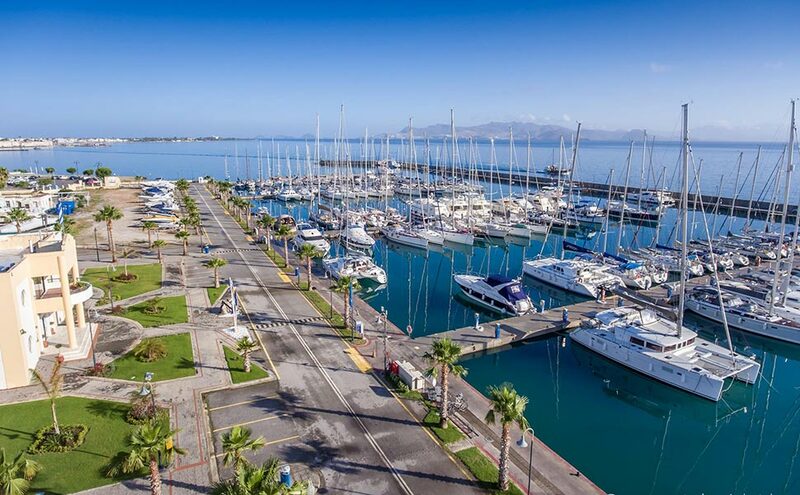 This state-of-the-art marina which opened in 2001 offers high-quality services in all sectors, including docking, dry docking (extended stay), travel lifting and hydraulic trailers. In addition, the marina offers information and instruction, among other services. Mooring of the vessels sailing into the port. Water Supply – Electricity Supply -12 VDC and 24 VDC Battery Charge. Telephone Lines – Internet – Public Telephones with International Lines. Post delivery and receipt – VHF Communication – Fax transmission and delivery. Petroleum & Biological Wastes Collection from the vessels. Fire Safety – Saving Means. Antilitter Equipment – Security Equipment. Vessels supply with fuel to a prescribed position, whereat the antipollution and fire security measures are high. Storage Areas – Vehicles Parking Areas. Medical Center providing First Aid. The Blue Flag is a program of environmental awareness and protection which is run in Europe by the non-governmental, non-profit F.E.E. (Foundation for Environmental Education). Kos Marina is a blue flag award holder since its beginning (2001) as comply with a number of criteria concerning environmental information and education, environmental management, safety and service facilities, and water quality. Arrange your transfer from the Airport to Kos Marina.